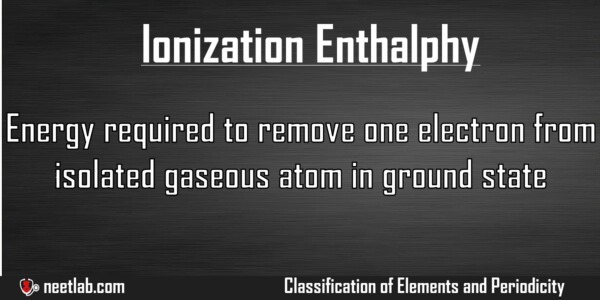 Ionization Enthalpy is the energy required to remove one electron from isolated gaseous atom in ground state. It is also called as Ionisation energy or Ionisation Potential. 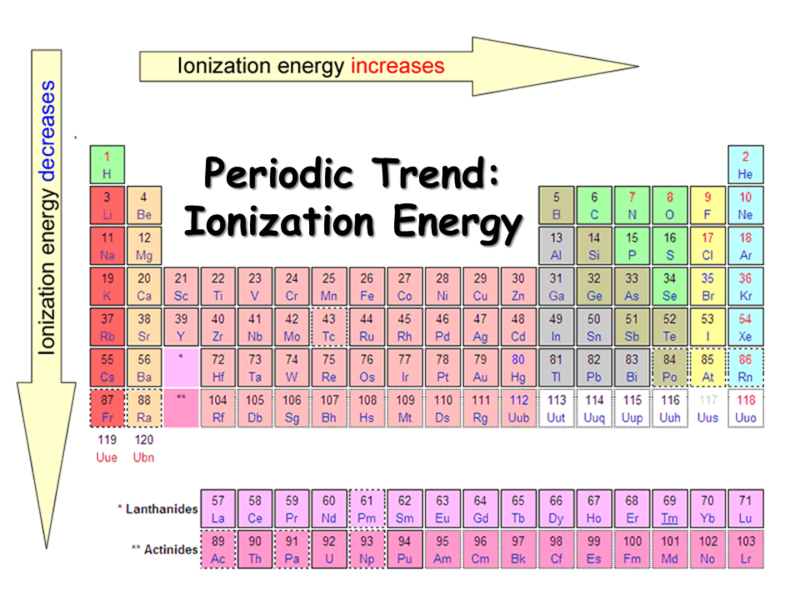 Ist Ionization energy increases when we move from left to right across the period. Ist Ionization energy decreases as we go down the group. Energy required to remove the first electron from the atom is called as Ist Ionization energy(I1). 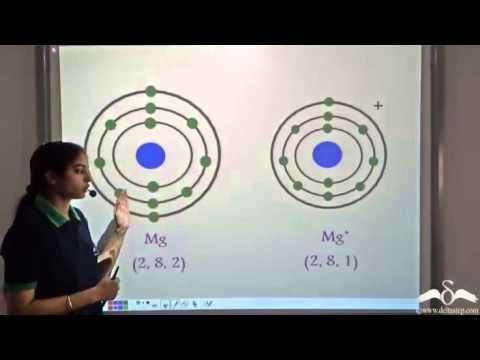 Energy required to remove the second electron from the atom is called as IInd Ionization energy(I2) and so on. This removal of electron happens till the atom reaches the completely filled state in the immediate inner shell. Ionization Energy is the opposite of Electron gain enthalpy. Which of the following elements will have the lowest first ionisation energy?